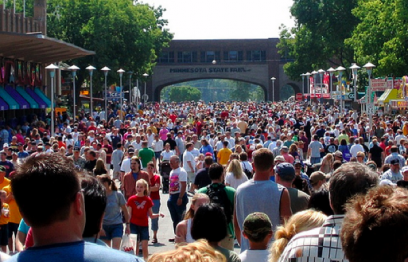 The Minnesota State fair is coming! 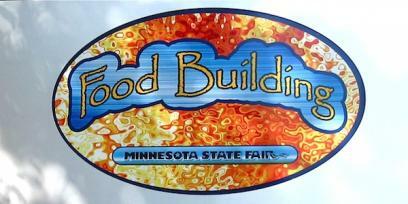 This year, the Minnesota State fair runs from august 25th-september 2, and Simple, Good and Tasty plans to be there. Although we may decide to run something on healthy eating at the fair, it is more likely that we plan to loosen our belts and enjoy. If there is one time of year to stop worrying and focus on those sinful treats that make your mouth water, this is it (ok...there is also thanksgiving, the winter holidays, 4th of july, etc. etc.) Food, healthy or unhealthy, should at least make you happy. 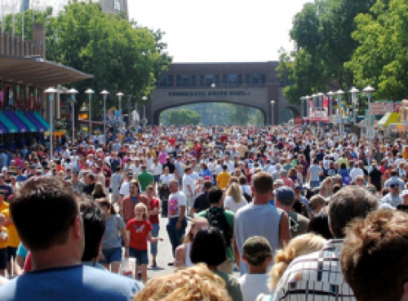 Avoid the state fair, like the plague? Then this is your way to get a few snippets of what is happening without the necessary antacids, tonics or cleansers. No need to thank us...its our job! For a primer on what the fairs offers from chocolate covered jalapenos to pizza on a stick, check out the MN state fair "food finder". It’s often difficult to remember that the fair is about more than just food. Because, well, we quite like the food. Local, ethnically diverse and deep-fried qualities notwithstanding, we simply love the food at the state fair. And we all justify our indulgence with the knowledge that it’s just a one-time-a-year fling. Yet, there’s more to the fair than just food. 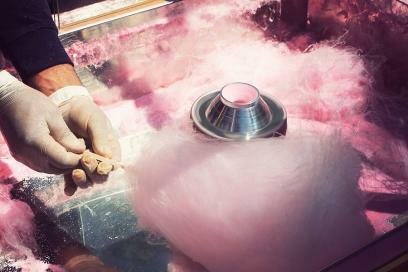 So, what if we wanted to enjoy the fair more than just once a year? Have you noticed a theme at Simple, Good and Tasty (SGT) this week? Nope, it’s not about the salmonella outbreak in factory-raised eggs; Michael Pollan, Bill Marler and John Robbins are doing a good job covering that subject for us. And, no, it’s not about the growing controversy about whether or not to sell flavored milk in school cafeterias; thank you, Renegade Lunch Lady Ann Cooper, for taking care of that one. It’s that time of year again, when Minnesotans of every stripe gather at the Great Get-Together for 12 days of farm exhibits and blue-ribbon competitions, midway rides and carnival games, and lots (and lots) of food. 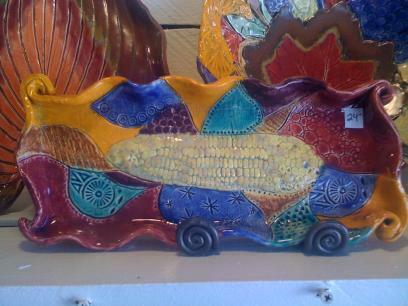 When it comes to fairground fare, it’s easy enough to find all-American classics from corn dogs to corn-on-the-cob. But there are also favorite foods that reflect Minnesota’s immigrant history, such as Norwegian lefse, German bratwurst and Italian zeppoles. In recent years, however, the state has also become home to people from Latin America, Asia and Africa, and slowly but surely, State Fair food is beginning to reflect the change. 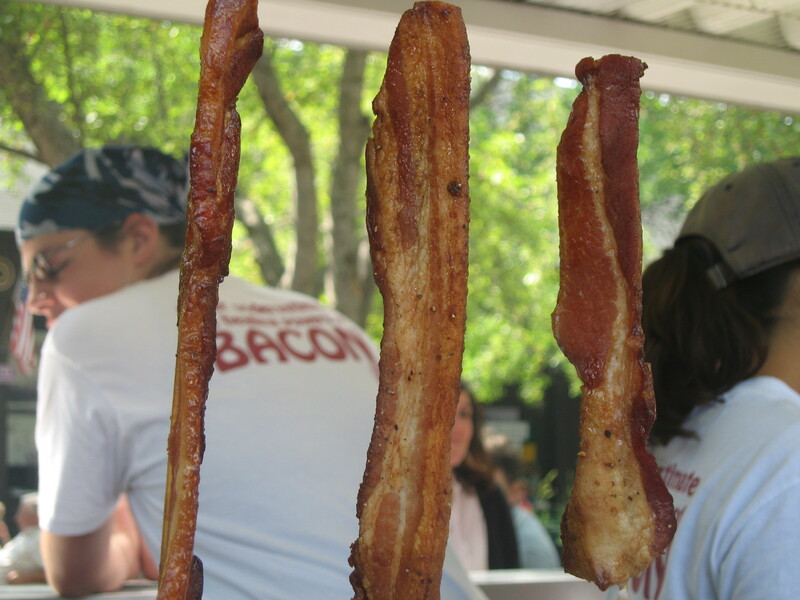 Bow Down Before the Altar of Deep Fried Things on Sticks! When Shari Danielson, our editorial director, recently asked me to share my "biggest food weakness," none immediately jumped to mind. Not too long ago, I might have answered conventional beef jerky, bad Asian food served in airports, unsustainable sushi, and/or gummy worms. But the joy of these foods has diminished over the past few years, and when given the choices these days, it's not that hard for me to pass. My (amazing, wonderful) wife was quick to point out that saying "no" to these foods does not mean I don't have a food weakness. True, I'm not the guy who can't walk past the mini-donut stand without buying a bag, or the gal who sneaks a Big Mac when nobody's looking. My weakness is this: I love to eat things I've never tried before. 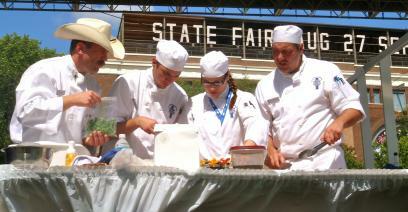 As the coordinator for the Minnesota Cooks™ program at the Minnesota State Fair, I'm writing today's post to give you a preview of this event, which features Minnesota chefs and cooks, local farmers, and consumers with a full day of cooking demonstrations, discussions, and sampling of delicious cuisine. 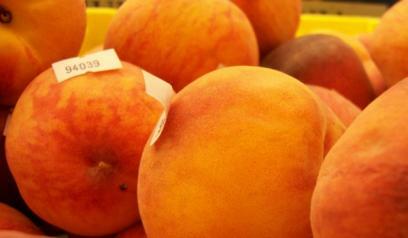 The big day begins at 9 a.m. on Tuesday, August 31, (with samples of scones and French toast!) and will continue with eight hourly presentations, featuring 16 restaurants and 16 farms. The Minnesota Cooks Stage proudly sits in Carousel Park, just south of the Grandstand, and is the place to be on the Tuesday of the Great Minnesota Get Together for one of Minnesota’s most admired and longstanding sustainable foods events. I recently spent a day at the MN State Fair with my friend and cohort Tracy Morgan, and we did our best to eat as much local food we can could cram into our eager bellies. Here are a few of our favorites. I started with a big ole turkey drumstick, the kind I've watched people carry around for ages at all sorts of festivals and fairs (Tracy passed on this). I had to admit to Tracy that I'm not much of a food "toucher" - I'm kind of a knife and fork guy - but the drumstick was tender and delicious, with a bit of sweet sauce on top. I didn't do too much gnawing on the bone, partly because it's not my thing, and partly beause I was saving room for more food.